Why Choose Gerald Jones as Your Durham Home Improvement Contractor? When we first started installing custom windows, doors, siding and more back in 1955, we set out to do the best possible work while offering the best value choice to homeowners. That simple philosophy, coupled with unwavering dedication to our customers, has helped our business stand out from the competition with our outstanding reputation as a trusted, reliable Durham home improvement contractor. Although times and products have changed, our commitment to the quality of services we offer has not. We’re still the same family-owned, family-operated business we were three generations ago, and with each home we bring new life into, we build upon our shared decades of experience. We have worked closely with families across the Raleigh-Durham region to address their current home’s limitations and come up with solutions to make their space more livable and enjoyable. Over the years, we’ve stayed up to date on the latest innovations in the selection of custom home improvement products on the market. 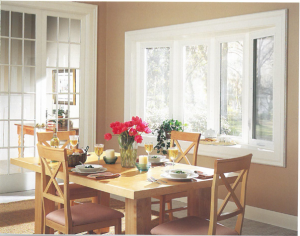 Today’s windows, doors and siding are engineered to provide you with a lifetime of service without ever looking dated. We take pride in offering fair prices and take care to install with the utmost attention to detail, giving you the highest quality results from our well-trained installers. We recognize that every home – and every homeowner – is unique, which is why every job begins with an in-person consultation to discuss your particular family’s needs. We know how to ask the right questions to learn how we can transform the space you have to help you love your home more than you thought possible. We offer a variety of custom-made windows, doors and siding that are sure to suit any homeowner’s style and budget. Whether it’s a new finished back porch, custom awning, gutters, siding, doors, windows or any other combination of services, we respect and recognize the value in your home.